Dig Deep: Take a mine tour that uncovers lessons in geology and history. In the 1800s, miners in the mountains dug only for pegmatite, and cast aside gems such as garnet and aquamarine, says Robert “Bo” Smith. Those stones, along with emerald, feldspar, mica, and quartz still hide in mine tailings around Spruce Pine. It’s just a taste of the insight Smith imparts to groups during customized excursions to five historic mines. 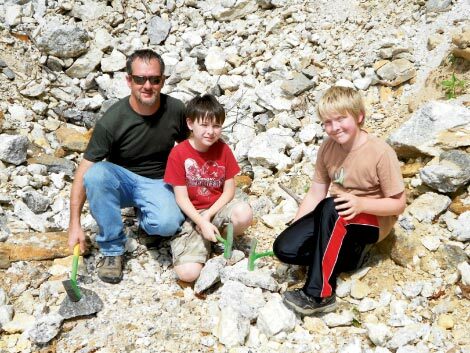 Aided by a degree in geology and 21 years of teaching experience, Smith offers tours that go beyond just panning for stones by presenting lessons in local geology and history. Guests who visit Sinkhole or Marble mines can opt for a stopover at the 1800s Silver family homestead and cemetery. Another favorite spot is McBee Mica Mine, where sun-weary rock hounds can take a dip in the North Toe River before resuming their dig. Tours begin Memorial Day weekend. Each lasts about four hours. $25; www.bo-smith.net/bosminetours.